Earlier today, we voted on memorializing the events — the tragic events — that took place 40 years and one day ago at Kent State University. Americans today, most Americans, are too young to remember what happened then, but I think that those of us who lived through that time and many others who thought about it, or saw afterward what happened, have this picture in their mind. This is Mary Ann Vecchio kneeling over the body of Jeffrey Miller at Kent State that terrible day, when four students were shot by American soldiers. I think we would honor them by remembering how and why they died, and that’s what I propose to do now. And then on April 30th of 1970 — the first war ever announced on TV — President Nixon announced the invasion of Cambodia by US forces. Almost immediately, there were protests at universities all around the country, including at Kent State. And those protests grew and grew day-by-day. And the right wing immediately mobilized against these protests. 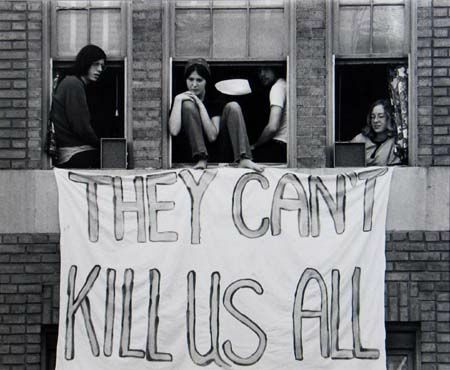 In Ohio, the governor, Governor Rhodes, said quote, “They’re the worst type of people that we harbor in America.” — these students protesting against the war — ‘I think that we’re up against the strongest, well-trained militant revolutionary that’s ever been assembled in America,’ and President Nixon chimed in by saying that the anti-war protesters were ‘pawns of foreign communists’. And so it was that four days after the announcement of the invasion of Cambodia, there was a protest that took place at Kent State University, Ohio. 20,000 students collected — assembled peaceably — to protest, and the National Guard was called in to drive them away. First, the National Guard attacked them with tear gas. The students took the tear gas canisters and threw them back at the National Guard. The National Guard drew its bayonets and charged the students, and forced them to a different location, but they still didn’t disperse, so at that point they shot them. Four Americans died that day, including Jeffrey Miller. Now, then as now, together both times, there are people all around the world, and especially people in America, who want to live in peace — who think that no war is better than two wars, who think that we voted to end war, not to continue it. And after all, we know in our hearts, they can’t kill us all. Alan Grayson is a former US Congressman from Florida. The USA has always been deeply divided on major issues and has been at war since its founding. Bill Blum’s latest report truly brings the idea home. Accordingly, our children (including Native American children) and adults have been fighting the status quo ever since then. A People’s History Of The United States. by Howard Zinn. Presented by History Is A Weapon. I’m proud that so many US citizens and others, including our children, will protest the country’s norms when something is terribly wrong. It gives hope!